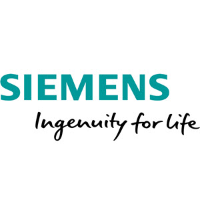 For more than 165 years, Siemens AG (Berlin and Munich) has stood for innovative strength, a passion for technology, sustainability, responsibility and an uncompromising commitment to quality and excellence. As a globally operating technology company, we’re rigorously leveraging the advantages that our setup provides. To tap business opportunities in both new and established markets, our businesses are bundled into eight divisions and healthcare as well as wind power as separately managed businesses. As of September 30, 2016, we had around 351,000 employees worldwide. Orders totaled €86.4 billion and revenue was €79.6 billion in fiscal 2015. We operate in 289 major production and manufacturing plants worldwide. In addition, we have office buildings, warehouses, research and development facilities or sales offices in almost every country in the world.